Investing in a vehicle of your own does not come cheap. This is precisely the reason why some people in the United States opt to buy used cars. Economically, this is a better option. It is a known fact that the instant a brand new vehicle leaves a car dealership shop, its value depreciates. The wiser option, in most cases, would be to get a used car at a cheaper price. In this guide, we’ll guide you through the process of buying a used car in New York and New Jersey. Follow the details below and you’ll buy a great car with no problems to think of! Buying a used car or truck is not without risks. Of course, the car has been previously owned and used so there may be some compromise with quality. Before anything else, you must know how much you can spend on the used vehicle you are thinking of buying. Having a budget in mind will make the selection process easier and faster for you. You can then narrow down your choices on only the vehicles that you can afford. Do not just go for the first or the cheapest car you see. Know that even if you are buying a used car, there are a lot of options available for you. You can get your secondhand vehicle through car dealers, private sellers, or even through auctions. Look at car lots, websites, newspaper advertisements, and other resources for you to compare all of your choices. Get a feel of the vehicle as you take it out for a test drive. Ask yourself if you are comfortable driving it and whether you see yourself bringing it home. Adjust the seats, check if the controls and gauges are easily readable, note if there is enough leg room. 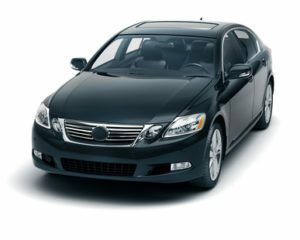 Determine if this vehicle is a good fit for you and the members of your family who will be riding it. Also, you may test drive the vehicle on the route that you will most likely use when you purchase it. This will give you an idea whether it can bear the steep road going to your office or the rough road leading to your house, for example. Although this might mean that you would shell out money in the early stages of the purchase, this is actually a wise move that could save you thousands early on. Even if the owner has already assured you that the car has no problems, have a reliable mechanic inspect it professionally. This expert might see some issues which the owner himself does not know about and could potentially change the value of the car or your decision towards buying it. If the owner wouldn’t want you to proceed with the inspection, then go elsewhere. There must be something wrong with the car that he is trying to hide. Once you have finished the selection process which includes evaluating the vehicle’s mechanical health, completing a test drive, and ensuring that the seller is indeed the legitimate owner of the vehicle, you would then need to work on the title transfer and registration process. It is understandable that you might be overwhelmed with the multiple steps you would have to go through in buying a vehicle. For a first time buyer, you do not need to worry; this article got you covered. Department of Motor Vehicles (DMV) – this is the government agency responsible for vehicle registration and driver licensing in the United States. This term is not used in all states but is a general term understood by all as the government body for vehicular and driving concerns. It is important to note that DMV is the term used in New York. Motor Vehicle Commission (MVC) – this is the term used exclusively in New Jersey. Though different in name, this agency performs the same task as the DMV in New York. Odometer and Damage Disclosure Statement – a document that states the actual mileage of the vehicle at the time it is transferred. It also indicates whether this mileage is increasing over time. Also, this legal document shows whether the vehicle has been or has not been damaged in the past. This is very important as it would dictate whether the buyer is willing to purchase the vehicle despite its history. Failure of the selling party to put accurate information on this document is subject to the law. Lien – a form of security placed on an item and lifted once the full payment for the item in question is settled. The seller should be honest with the status of this lien. You would need to talk and agree on the payment scheme should the lien is no longer fulfilled. 1. Proof of ownership – title and bill of sale for vehicles manufactured from the year 1973. If it was built before this year, present a proof of ownership from another state or the NY transferable form. In terms of registration, you would need to provide a bill of sale or vehicle title, a NY Insurance Identification card, filled out Vehicle Registration/Title Application form, and an accomplished Statement of Transaction Sales Tax Form. This is also the time that you would need to pay the sales tax as well as the vehicle registration fees. For first-time registrants, a $25 plate fee and $50 title certificate fee must be settled. An inspection extension sticker will also be given to you and your vehicle will be inspected ten days within the registration date. 1. Vehicle title – this must contain the signature of the seller, purchase date and price, actual odometer reading, and some pertinent information about you, the buyer. This includes your name, address, signature, and NJ driver’s license number. Keep in mind that a fine of $25 is imposed for failing to provide these documents within 10 days of the vehicle’s purchase. Despite the strict process, new car owners in NJ also experience convenience as title transfer and vehicle registration can be done at the same time. To register your newly-bought car, be sure to also bring its previous NJ registration, NJ Insurance Identification Card, your Social Security number (SSN) and a completed registration form along with the requirements above. Be prepared to pay $60 title transfer fee, sales tax, and a registration fee based on the vehicle’s age, weight, and type. Note that this registration fee must also be renewed every year. Although not required by any of the above agencies, it is also very important that you get a Vehicle History Report before actually closing the deal. This will protect you and your hard-earned money. You can easily get this report online or from companies offering Vehicle Identification Number (VIN) checks. The VIN is the car’s unique number usually found on the interior dashboard on the driver’s side, under the hood, or trunk. You just need to provide this number to access the report. This Vehicle History report will provide you information on the vehicle maintenance, title history blemishes, faulty odometer settings, flood damage, accident history, airbag deployments, and many others. Is a car dealer needed when buying used cars? You can actually buy a used car in two ways: by buying from a used car dealer, private individual, or you can visit public car auction in New York / New Jersey. If you buy from a dealer, you would have the luxury of letting the company do all the paperwork for you, in exchange for a significant amount. With a private individual, however, you would need to go through the entire process on your own. It is up to you if you would like to purchase from a dealer for the convenience they can provide or from a private individual for the affordability. Whichever route you take, it is still essential that you know the fundamentals of car ownership transfer and title registration. We hope you learned a lot from this article. This guide will help you be a wiser car buyer and car owner when you decide to purchase your first (or second) car! 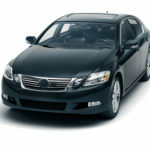 Find cheap used cars in NY and NJ at a public car auction. No membership or upfront fees required. View cars for sale online and find auctions near you. Auction cars from dealers, bank repos, police and tow impounds, private owner vehicles and more. 100’s of cars for sale at each auction location. Copyright © 2019 · Car Auctions NY & NJ · Nitro Web Productions, Inc.